When you think of where to get fresh seafood in Melbourne, Queen Victoria Market might be the first place that pops into mind. But if like me, living in the Eastern suburbs you might find that a trip to and from the famous markets take too long and cost too much, especially if you were only after a dozen of oysters or a piece of fresh fish. In that case, Fish Pier Grill & Oyster Bar is exactly what you are looking for if you happen to be around Doncaster. 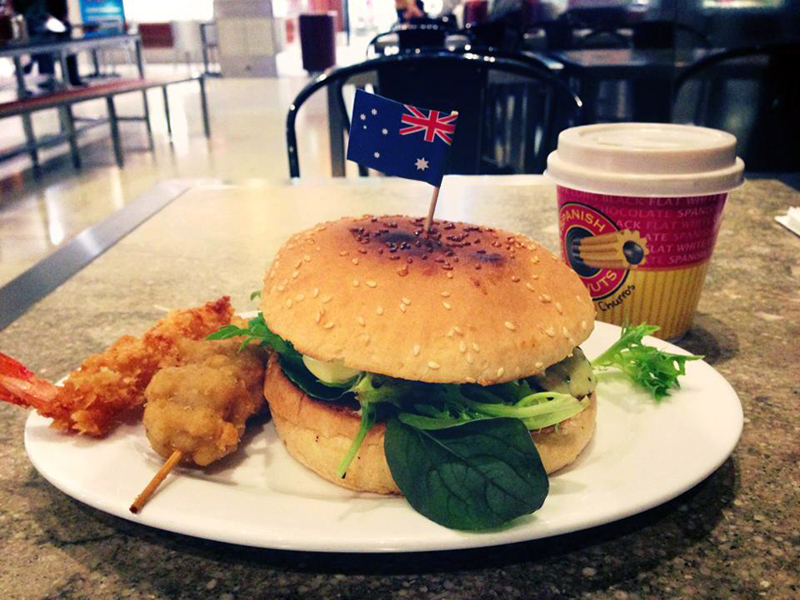 Fish Pier is located on the bottom level of Westfield Shopping Centre in Doncaster, neighboring Coles and Colonial Fresh Market it is one of the best places to go for fresh seafood in the East. 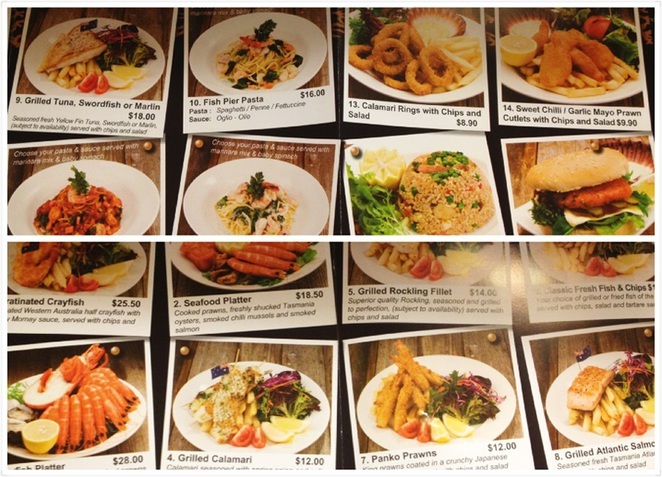 Walking past Fish Pier, you will definitely notice the great variety of seafood on sale. Ranging from salmon, tuna, snapper, tiger prawns, king prawns, fresh oysters, mussels, scallops, crabs, crayfish and many more – almost the whole ocean in the one shop! Although costs vary according to season and market price, the general prices are very reasonable and within the standard range. A dozen oysters are $14.99 while prices at Victoria Market may range from $13-$15, you avoid the time spent commuting, finding parking and the cost of parking when you shop local. You will be excited to find that Fish Pier also offer an assortment of fried and cooked food, perfect for lunch after a days' worth of shopping. Their chips are freshly fried to order and comes in a small ($2) or large ($4) container. Fresh chips are always the best -crispy, crunchy on the outside and soft in the inside. Other fried goods include calamari rings, squid skewers, panko prawns, money bags, fish balls, dim sums and many more. A must try is their Succulent Salmon Burger. Made with a delicious salmon patty made of fresh salmon pieces (none of that process stuff), fresh greens, and their delicious homemade mayonnaise. The burger is $6 but is frequently on special at only $4. A healthy option compared to burgers from fast food chains. Another must try is their seafood fried rice ($7.50). There is also a large range of other scrumptious food options on their menu. Prices range from $5 to $20. Mornay or Kilpatrick oysters ($6), Fisherman platter ($11.50), Grilled large scallops ($7), Classic fish and chips ($12) just to name a few! Grilled Calamari ($12) -Calamari seasoned with spring onion and salt and pepper, served with chips and salad. If you are not interested in fried foods or you are looking for a healthier option a new item on the menu are the Vietnamese paper rolls, prawn platters and salads. Perfect for the kids and for those with a healthy appetite. Westfield Shopping Centre is located on the corner of Doncaster Road (Corner Williamsons Road). For those who drive, there is parking available on site. The first three hours of parking is free. For full details of fees you can check them out here. By public transport, there are a number of bus routes that can take you to Westfield Doncaster including bus 201, 205, 207, 279, 280, 281, 282, 284, 285, 293, 295, 305, 902, 903, 907. I love shellfish, and seeing it all fresh on display like that is very appealing.